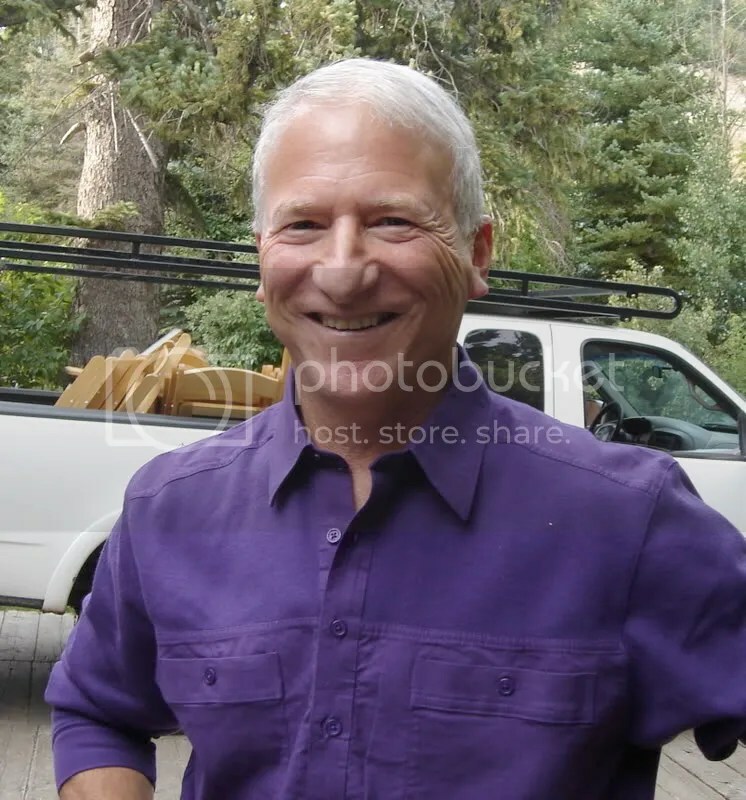 I went to hear Andy Stern speak Wednesday night at Olsson’s. So did Matt Stoller. Mr. Stern, I want to ask you about unions and political theater. 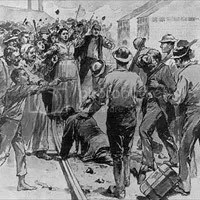 A hundred years ago, union leaders built barricades at Homestead and took shots at corporate thugs. 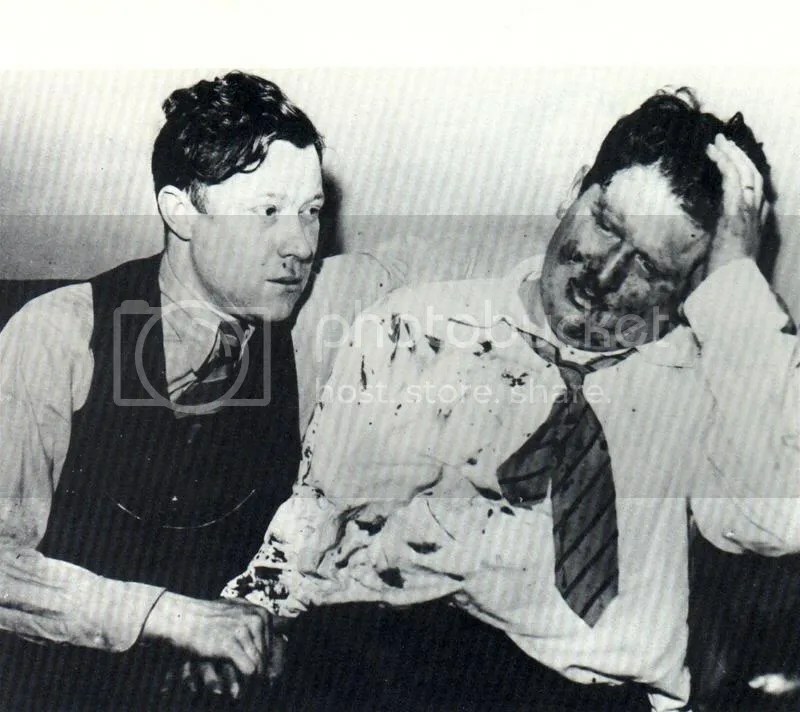 Sixty years ago, Walter Reuther intentionally walked into an ambush and was beaten up by corporate thugs in order to dramatize the need for unions. Both those actions made people believe that unions were important and necessary. Is it possible that the reason so many are suspicious of the need for unions in the present day is that today’s union leaders have forgotten the art of political theater? Stern responded that “Political theater doesn’t have the same resonance today.” He invoked the example of a recent union-led hunger strike that failed to evince any sympathy from the people as evidence that, if even the site of people starving will not move Americans, unions should not focus on political theater as a means of winning hearts and minds. After the talk, Stern approached me and thanked me for my question. He encouraged me to expand my thoughts on political theater in a blog post. And so, though I know next to nothing about labor history in America, I will make the attempt to further define my views on the need for political theater in the American union movement. These are the images that win the people’s heart — on the left, Homestead after the Pinkertons; on the right, Walter Reuther after his historic confrontation with the Ford thugs. They are images not simply of suffering but of abuse: the cutting-down of innocents by the powerful and unscrupulous, the silencing of the lambs. Like Wang Weilin before the tanks of Tiananmen, like the civilians killed in the Boston Massacre of 1770, like the hooded victims of Abu Ghraib, like the victims of Amritsar and of Selma and of Birmingham, these images speak to that peculiar facet of human protectiveness, the defense of the helpless victim. They are pictures that do more than speak a thousand words: they speak to the heart of the people — and are a more devilishly effective catalyst for sociopolitical change than any other agent known to activists. Men with queasy stomachs had no place one afternoon last week on the overpass at the No. 4 gate of Henry Ford’s great River Rouge plant.” So began TIME’s account of the Battle of the Overpass, the confrontation that made May 26, 1937, a red-letter day in labor history and brought to national attention a young United Auto Workers official named Walter P. Reuther. That morning Reuther and his colleagues suspected the day’s events could escalate into something historic as they prepared to hand out organizing leaflets (slogan: “Unionism, Not Fordism”) to the plant’s 9,000 workers. Reuther had put on his Sunday suit, complete with vest, gold watch and chain. He had invited newspapermen, priests and local officials to be witnesses. When Reuther and three other officials arrived at the gate, Ford company police charged at them and delivered a brutal, prolonged beating. Pictures of the battered victims were published across the U.S., a huge P.R. victory that would slowly but surely lead, several years later, to U.A.W. organization at the plant. It’s the age-old fantasy of the knight in shining armor slaying the dragon to rescue the fair maiden. I don’t know much about labor history, but I do know this: no matter what you’re trying to achieve, if you act the maiden while simultaneously giving your opponent an opportunity to play the dragon, everyone wants to be the knight. So, again from my limited reading of history, my recommendation to the labor leaders of today is this: if you want to win the hearts and minds of the American people, create a victim/villain dichotomy between your organization and big business.. Hunger strikes don’t work because there’s it’s not clear that big business is the villain — the images that result from a hunger strike are of people starving themselves, not of the oppressive Big Brother-like institution that made them do it. The key is to maneuver big business into inflicting some serious, and televised, harm on workers fighting for union goals. Do that, and an army of popular opinion will form up on your side — just like it did for Reuther. I don’t know the specifics of how this idea can be enacted, but I do know the marquee fight in which it can best be showcased. It’s the battle Stern himself described on Wednesday as “the Big One” — the fight to unionize Wal-Mart. Americans already hate Wal-Mart; give them a reason to support its workers, and their wrath will burn the corporation like a thousand bonfires. A new idea? No; just the age-old art of Political Theater — an art union leaders of today would do well to re-learn. This entry was posted on Saturday, October 6th, 2007 at 7:44 pm and is filed under Uncategorized. You can follow any responses to this entry through the RSS 2.0 feed. Responses are currently closed, but you can trackback from your own site.